Chinese food has won its reputation and popularity for its exquisite cooking skill, numerous dishes and unique flavors. With thousands of years’ development and cultivation, Chinese food has formed its own culture. The Chinese food culture is rooted in traditional Chinese philosophy, which means that Chinese cuisine is the reflection of the harmony and balance of nature. Influenced by Chinese philosophy, today’s Chinese cuisine not only pursues to satisfy a gourmet appetite, but also does its utmost to preserve people’s health. We believe: food is a destination. Some people say: falling in love with a town for someone you love resides in it. We say: falling in love with China for its fascinating culture, beautiful scenery, as well as the most delicious and irresistible Chinese food. As a foodie, how can you miss the chance to feast the most authentic Chinese cuisine as well as the opportunity to appreciate the most beautiful scenery and the fascinating culture of China? 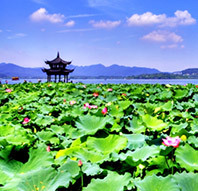 We have chosen the most popular cities, which are also the food center of China, to be your tour destinations. 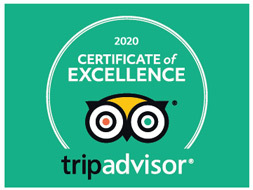 Start your memorable foodie’s tour with us! Peking Roast Duck, Sichuan Hot Pot, Mapo Tofu, Kung Pao Chicken…Have you ever taste these famous Chinese cuisines? Well, if you haven’t or if you want to eat the most authentic Chinese cuisines, our food center tour packages are designed for you. Beijing, Xian, Chengdu and Shanghai are famous food centers of China. 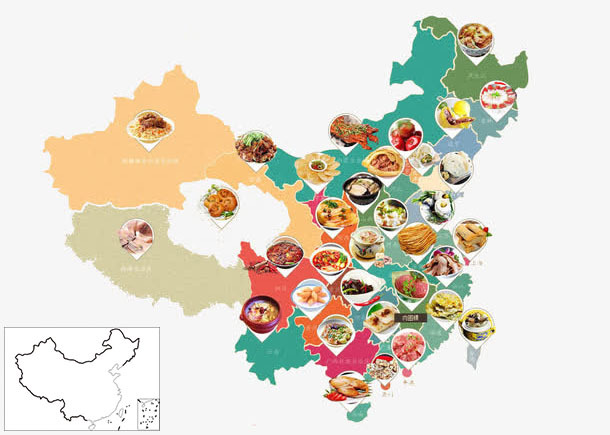 You can taste most of Chinese cuisines in those cities. 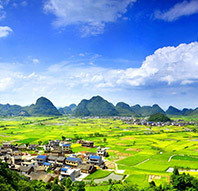 Beijing & Xian are the ancient capitals of China; Chengdu is the home of cute Giant Panda and the Land of Abundance; Shanghai is the most developed city and the economic center of China; while Guilin has the picturesque scenery of China. Different cities have different local flavors and different culture, history and highlights. Choose to visit according to your preference. These short tour packages are perfect for you if you only have a time-limited vacation. If you have a special requirement on cuisine flavors or destinations, please contact us and our travel consultant will try their utmost to satisfy your needs. Most of Xian local food is Muslim food. Mutton and beef are eaten a lot in this tour. Dumpling and local snacks are also the highlights. Sichuan cuisine, like Hot Pot, Mapo Tofu, Kung Pao Chicken are features in Chengdu tour, local snacks are also famed in the country. You can savor Peking Roast Duck and local snacks in this tour. Beijing is also famous for its Muslim food, mutton shashilik is very tasty. Beer Fish and Guilin Rice Noodles are flavors of Guilin. You can also learn to cook some Chinese cuisines in the tour. Shanghai snacks, like Steamed Buns, and Zhejiang Cuisine, like Dong Po Pork, are all your choices in this tour. 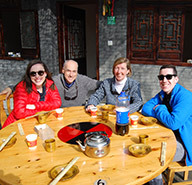 If you have more time or if you want to taste more Chinese cuisines in your tour, our classic Chinese food and culture tour packages are suitable for you. 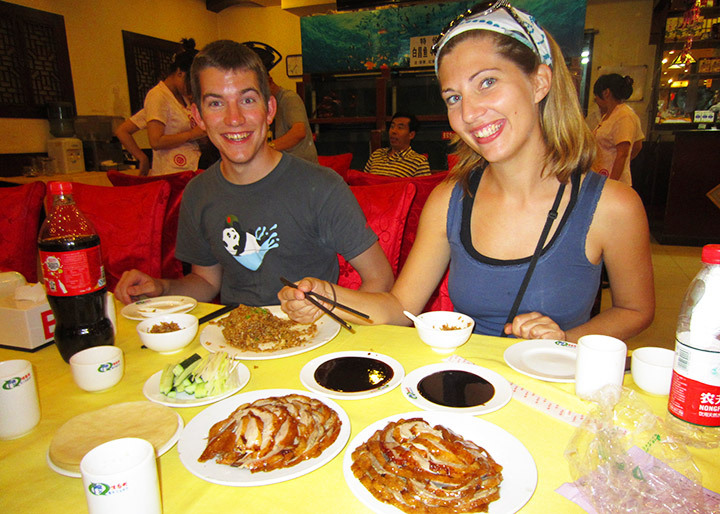 In the following tour packages, you can visit more cities and taste different kinds of Chinese cuisines in the tour. Take your time to swallow the essence of Chinese food and culture, and wait and see how Chinese cuisines and culture surprise you. All tours can be customized, please feel free to contact us if you have any special requirements. Beijing and Xian - the ancient capitals of China, Shanghai - the most developed metropolis of China. 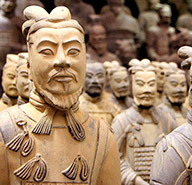 In this tour, you can catch the best chance to see China's past, present and future! Taste the most authentic Chinsee cuisine in Beijing, Xian & Shanghai! This gourmet and culture tour perfectly blends the travel and food together, satisfy your eyes as well as your stomach. Savor numerous local snacks in Beijing, Xian & Shanghai. Beijing, Xian & Chengdu are three main food centers of China. This tour may satisfy everyone's taste. 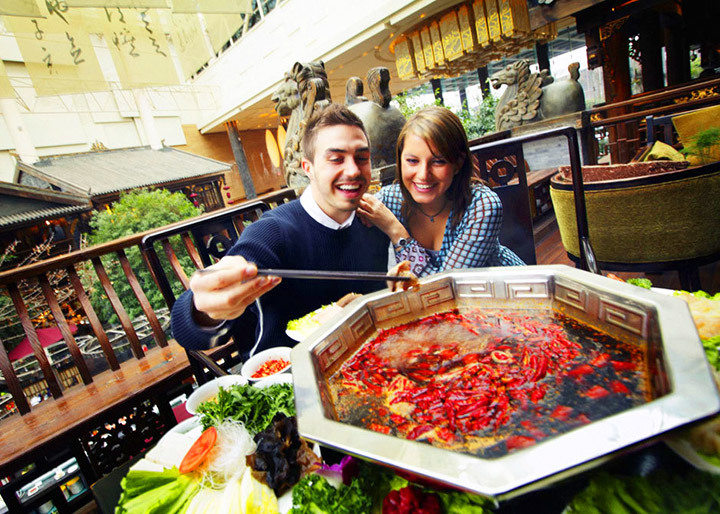 Light and fresh cuisines in Beijing, Muslim flavors in Xian, and spicy cuisines in Chengdu. Besides, you will also enjoy charm of the ancient capitals of China, take a lesuire tea time in Chengdu, and spend a great time with the cute giant panda. Emerging yourself into the leisure local life, drink Chinese tea in traditional teahouse. As a foodie, how can you miss this classic foodie travel in China. You can not only taste the most delicious Chinese Cuisine in this tour, but can also experience the vast and beautiful scenery of China, and have fun time with the incredibly cute giant panda. 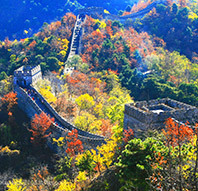 Enjoy treasures of China in one go! See the cute giant panda in Chengdu and have a real happy time with these lovely creatures.